I know this is baby week and all the posts are supposed to be about babies. If you’re anything like me, and don’t have children or currently know people with small children, then you don’t really understand why everyone is all about knitting baby things. There are several good reasons you should knit baby garments, even if you have no babies to give them to! Just because this is classified as baby yarn, doesn’t mean that it can’t become something soft and luxurious for mom too! I strongly encourage skill development. Becoming a better knitter is all about finding and practicing those skills you’re afraid to try and most of the time you’re able to tackle that really intense project. A baby-sized sweater is much less intimidating when knitting a sweater for the first time, as it has all the challenges as the adult sweaters, just on a smaller scale. If you’re thinking about trying your first sweater, then just knit up a baby one with any leftover yarn from another project. 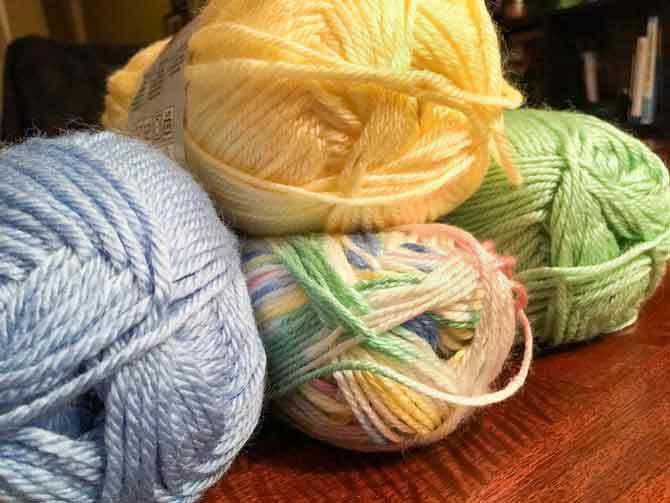 Let’s be honest, we all buy more yarn than we’re going to use, usually by one or two balls. That’s all it takes to make an infant sweater! If you’re the kind of person who buys the exact amount of yarn they need per project, Red Heart’s Comfort Sport is an excellent all-purpose yarn that can be shaped into just about any project; socks, hats, afghans, leg warmers, etc. I’m a huge fan of wantonly throwing myself into a project, but I know that’s not everyone’s cup of tea. If you’re a little more cautious, check out the children’s sizes. Once you’ve mastered baby sweaters, Comfort Sport and Soft Baby Steps can be ideal for making a lightweight cardi in an array of pastel colors for the spring and summer seasons for girls and women. 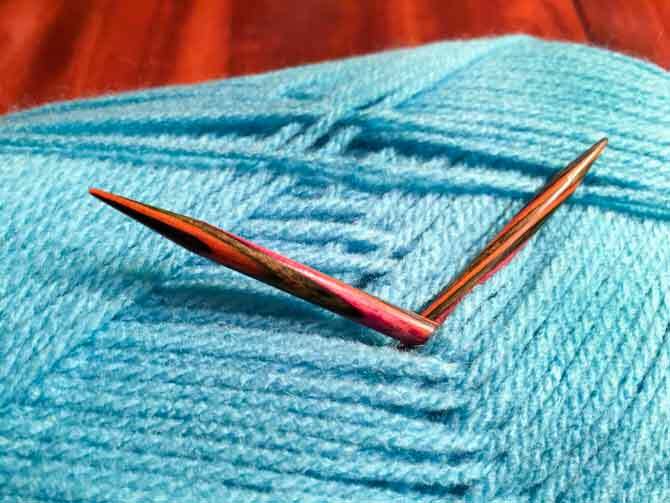 Keep filling your knitting tool box and practice all sorts of techniques on these projects! My next point goes hand in hand with the above mentioned tip. Even if you don’t know anyone with small children or have any upcoming baby showers, you will at some point. I like to keep a small stash of completed projects, for those situations when you don’t have time or inclination to make something for a shower that suddenly came up. I would advise you switch between masculine, feminine and gender neutral colors just to keep your stash balanced, you wouldn’t want to have 10 pink blankets and go to a shower where the theme is blue. 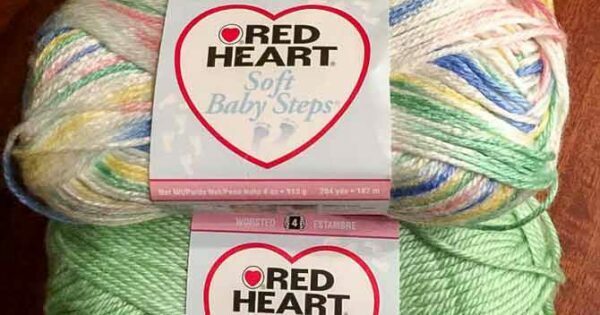 Red Heart’s Soft Baby Steps has a color called Binky Print with pink, blue, green, yellow and white. I think you would be fairly safe knitting with this variegated yarn. It’s pictured at the top of the page paired with Baby Yellow and Baby Green. Pictured below with Baby Blue. The Binky Print itself with a whole array of colors! Stashing gifts is a great planning tool in general. I know once I have a deadline to knit something, all motivation goes out the window. I end up waiting until the event is uncomfortably close and blocking garments the night before. It’s also perfect for garments other than baby items. If there’s a scarf or shawl pattern you want to try, but you’re not sure if you would ever wear it, you can give it a try then throw it into the gift stash. When you suddenly need a gift because you forgot someone’s birthday, anniversary, event in general… it’s perfect. This has saved my bacon more than once and if I’m a day late, it’s a hand made gift that could have taken an extra day to finish off. You never know when you’re going to need a yarn like this in several colors. Feeding the stash regularly has its benefits. A very important reason for knitting baby garments is that they make great donations for maternity wards in hospitals. If you’re in a position where you don’t think there will be any little people coming into your life or you don’t want small garments hanging around your house for months or years, there are many places to donate these items. Preemie hats in particular are always in demand because humans in general lose a lot of heat through the top of their heads and babies that small don’t have the heat to lose in the first place. If you’re looking to donate, any of the three yarns we are featuring this week are perfect for this type of project. 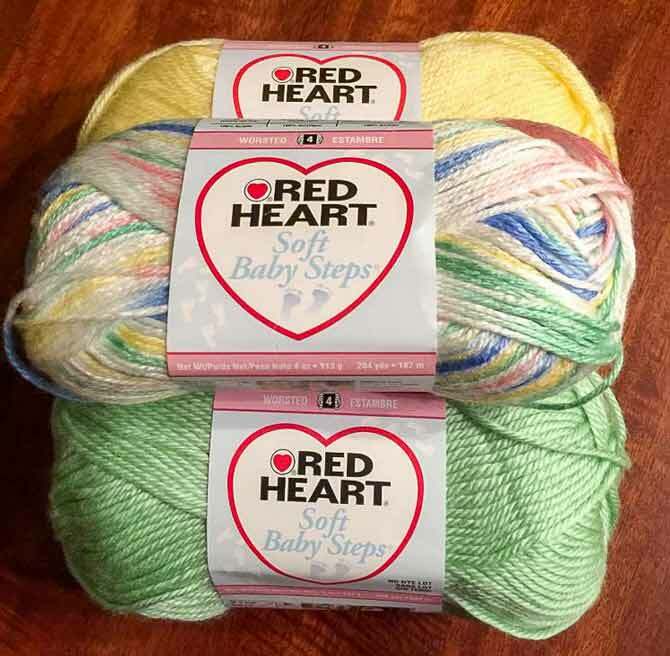 Red Heart Soft Baby Steps is silky soft and comes in a wide range of colors so you could knit a different color every day. Cutie Pie is velvety soft, which is a unique texture for yarn and feels so warmly fluffy. Comfort Sport has obviously got budgeting on your side; one preemie hat takes 20-35 yards of yarn so you could make at least 32 from one ball. Considering that one ball costs about $10, that is a small price to pay for helping out 32 preemies. Even if you don’t have a whole ball left, 20-35 yards isn’t a large amount and you could have that much left over from one of your current projects. 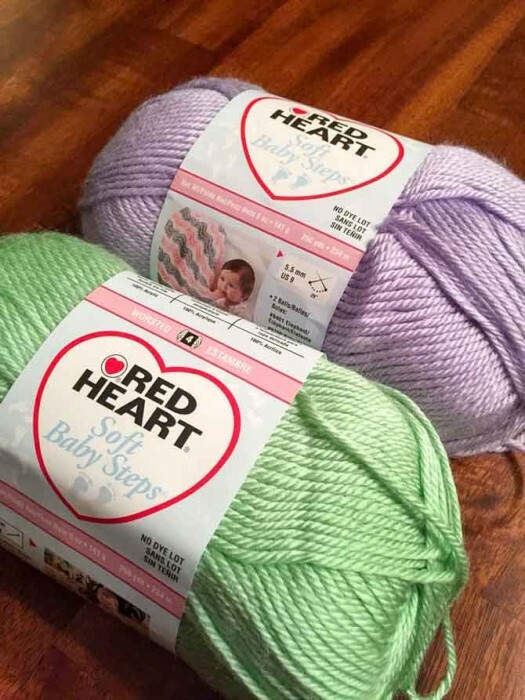 If you’re knitting a baby blanket for a friend, use the leftovers to donate a preemie hat, or booties. Be sure to check the charitable organization’s webpage, they usually have donation guidelines for you to follow. If you’re unsure, there’s no shame in calling to ask! Hopefully these 3 reasons convince you that you can engage in knitting for babies regardless if you currently do have children in your life or not. Knit for the babies you don’t know, the ones that don’t exist yet or just for your own personal development. Stay tuned tomorrow for more knitting fun. I often use Red Heart Baby yarns for knitting lace sweaters – just light enough, lovely colours, and always so soft! Much preferable to some of the other yarns out there. Although I like the look of things like mohair, they are to itchy for me to wear – so I always come back to the baby yarn. Good point Orla, natural fibers aren’t for everyone, thankfully the Red Heart Baby Yarns are very soft. If it’s excellent for baby, then it’s surely excellent for an adult. 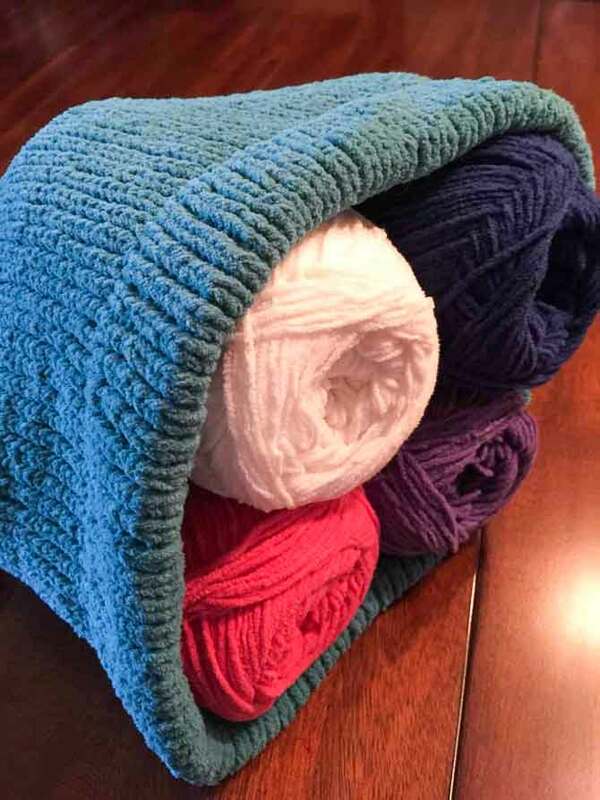 I love the idea of knitting baby blankets. I’m a beginning knitter and this is something I think I could handle with confidence. I love the feel of red heart baby yarn. I made my first baby blanket with it and was very pleased. Thank you for sharing Melissa!